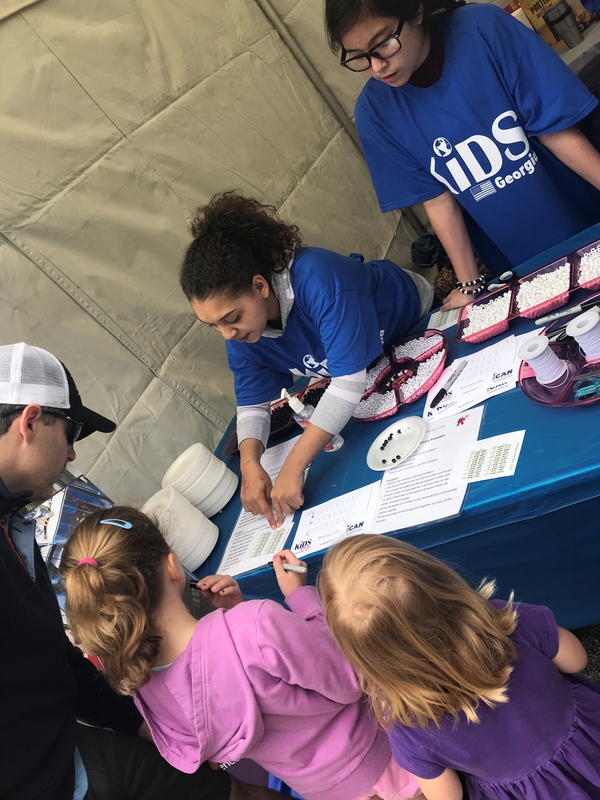 Georgia CTSA's Kids & Families Impacting Disease through Science Georgia Chapter (KIDS-Georgia) taught binary code by creating a radio-frequency ID wrist bands to over 1,000 Georgians during the free 2018 Atlanta Science Festival Exploration Expo on March 24, 2018 at Piedmont Park. Visitors were given the opportunity to learn coding by making bracelets with their initials in binary code. KIDS Georgia shared information about the RFID med-alert invention and truly enjoyed teaching the audience about their organization. Georgia CTSA and KIDS Georgia were grateful for the opportunity to give back to the community.